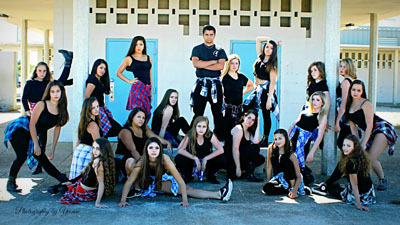 The Center Stage "Outreach Team" was created to bring the art of dance to everyone in the community. The "Outreach Team" is comprised of specially trained students and teachers who donate their time for this unique cause. We offer dance education, performances, and lecture demonstrations for all ages. The "Outreach Team" has provided education, instruction and performances for benefits, charities, church festivals, arts enrichment programs, public and private schools, the "Girl Scouts of America", public libraries, ”Walk For A Cure”, nursing homes, "Dance for a Cure" The Plymouth Cultural Council, "Dancing With teh Angels", Plymouth Philharmonic, parades, exhibitions, “The Jerry Lewis Telethon”, and the special needs community. We perform yearly in the Boston Celtics pre-game show and biannually on board Norwegian Cruise Lines and in Bermuda as guests of The Corporation of St. George in their Market Night Festival, and Royal Naval Nights. Center Stage Company members are regional and national award winners, scholarship recipients and title holders. Our goal is to educate, entertain, enlighten, and bring the joy of movement to children and adults through our love for the arts.